Last Saturday we had family in town, so instead of hunkering-down at home to watch the Oscars, we enjoyed a night on the town to try someplace new to us: We Olive in downtown Los Gatos. 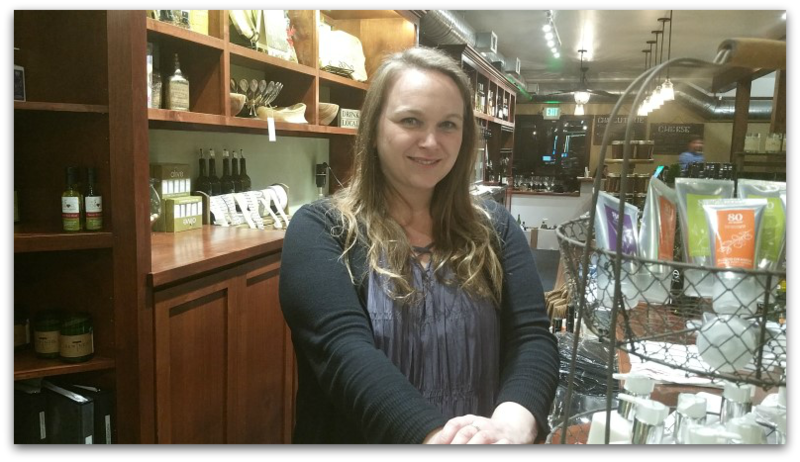 We Olive focuses on California grown, artisan, gourmet wine and olive oil. 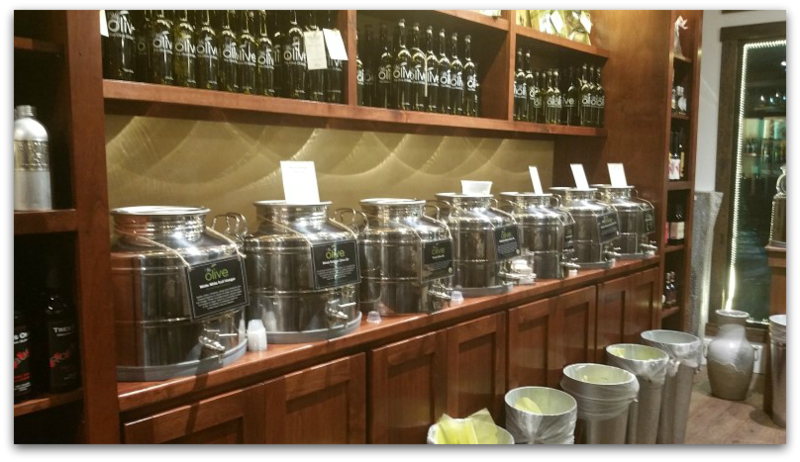 Enter the shop and you will see shelves packed with olive goods and rows of tin tubs for dispensing samples into cups. It has fun, olive-themed goods, with olive wood cutting boards and bowls, appetizer trays, olive oil lip balms, free recipe cards, and bottle corks. 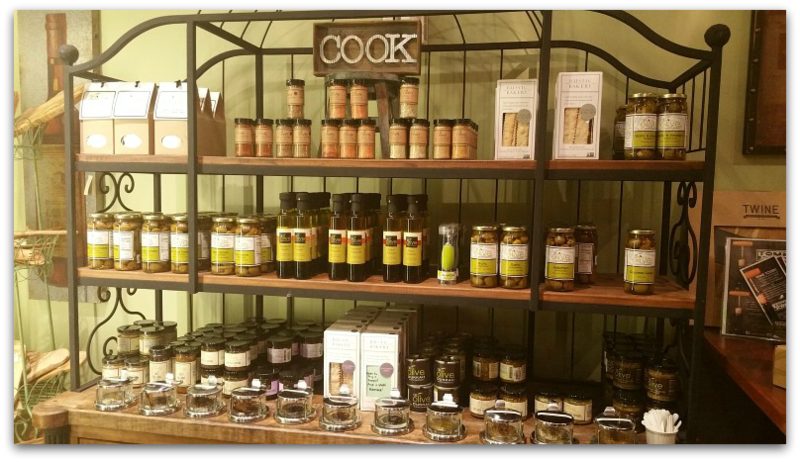 The front of the store focuses on olive oil and vinegar, but also features complementary tastings of dipping oils, seasoned salts, tapenades, mustards, sauces, spreads, and even sweets like caramel and chocolate. I recommend the basil or Meyer lemon olive oils and the peach white balsamic or blood orange balsamic vinegars. Most wines available are California productions, and all but a few can be ordered in taster-sized glasses to build custom flights. We got recommendations for white and red flights and everyone was happy with their selection. If you’re unsure of what to get, or just indecisive, the bar staff can always give you tips and recommendations! Order gourmet snacks to enjoy with your wine, or make it a meal with salad or panini. We four ordered a cheese and charcuterie platter, and both the brie and the red wine and pepper salami were excellent. Don’t want wine? There’s also craft beer and a few non-alcoholic options. You can find the complete menu on the We Olive website (link below). I should add that the staff we encountered were all very generous with their time, helpful, and attentive. They took good care of us and I would not hesitate to recommend them and We Olive for a pleasant time out. Next time you’re downtown, stop in for some samples. Happy hour is every weekday with specials on select food and drink. On any Wine Wednesday, all day, pick up half-price bottles. Sample Saturdays feature new culinary delights using We Olive products with a new recipe every month. 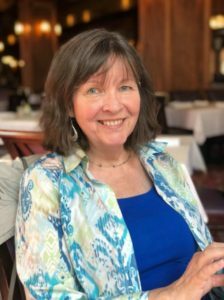 Mary’s note: as always, this article was written after a pleasant experience and the shop’s employees did not ask for a review and no compensation was received for writing it. In short: it was my idea because I like the place. I hope you will, too.